Ecological research has long been a cornerstone of scholarship at UNH. Now, there’s another accolade honoring UNH faculty research: A January study in the journal Ecosphere found UNH second among 316 North American institutions in scholarly productivity in the field of ecology. The journal, published by the Ecological Society of America, ranked institutions based on the number of publications and citations in the 40 most influential journals in ecology between 2000 and 2014. The rankings were weighted by the size of the institution. The rankings, say a number of faculty members who specialize in ecological research, make it clear: UNH is a leader in the field. “It’s a tribute to the faculty,” says John Aber, professor and former provost. 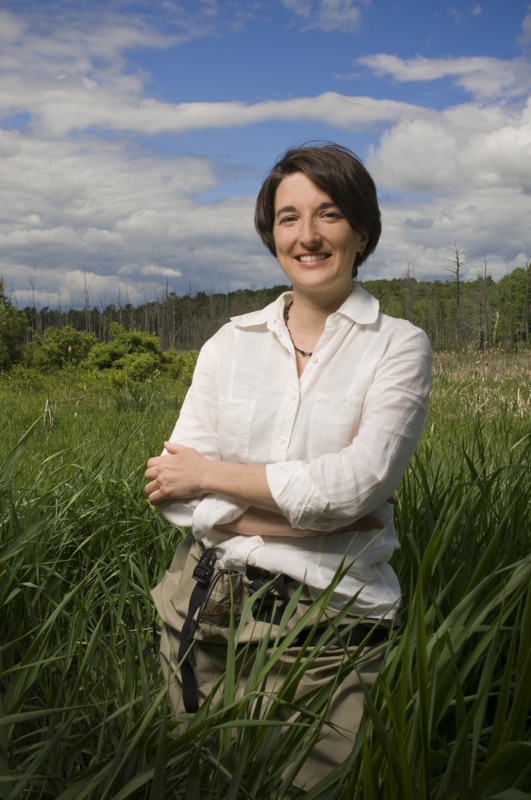 Aber spent more than three decades studying native forest ecosystems. In recent years, he’s shifted his focus to sustainable ecosystem management. 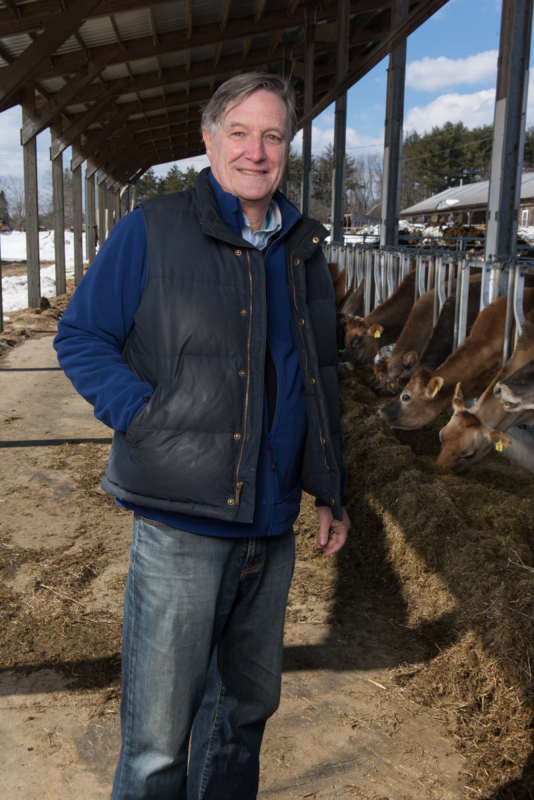 “I’ve been at UNH for almost 30 years, and this kind of expertise and this kind of focus have always been present. When you have good faculty, it makes it easier to recruit other good faculty members, and good students tend to come with them. It all continues to build on itself,” he says. According to Aber, the Ecosphere study is the latest in a long line of accolades the university has received for ecological research. He notes that in past rankings compiled by the Institute for Scientific Information, UNH consistently ranked in the top five institutions. The depth and breadth of research encourages interdisciplinary collaboration, according to professor William McDowell, Presidential Chair and professor of environmental science, whose research examines long-term changes in water quality in forested, suburban and urban watersheds. Indeed, ecological research at UNH stretches across many layers, from the microbes that live in soil to the Earth’s atmosphere. Stuart Grandy holds the Roland H. O'Neal Professorship in the department of natural resources and the environment. His research explores how soil organisms interact with their environment and spans the disciplines of soil ecology, biogeochemistry and ecosystem science. Associate professor Wilfred Wollheim’s Water Systems Analysis Group integrates hydrology, biogeochemistry and the study of human-water interactions to analyze how humans affect hydrological systems, while assistant professor Rebecca Rowe’s research uses field surveys, historical records and geospatial data to investigate how climate change and land use affect biodiversity. Ollinger’s research links small-scale ecological studies with broad-scale patterns going on at the regional, continental and global level. UNH ranks high in Ecosphere’s study because much of the university’s research focuses on pressing ecological questions and “works really hard to try and solve them,” he says. Those efforts have real-world impact, and that’s what makes the Ecosphere study so important, according to McDowell. “I think we have been able to develop that culture of collaboration and interaction that’s yielded real advances in ecological science,” McDowell says. Interested in studying ecology at UNH? Learn more here.